Inbound means cable cars going toward Downtown. Outbound means cable cars going toward Fisherman's Wharf. There are cable car turntables at both ends of this route. 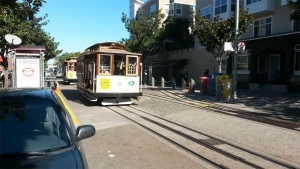 At Powell and Market, it shares terminal with Powell-Hyde Cable Car Line. This page was last edited on 3 December 2018, at 04:20.